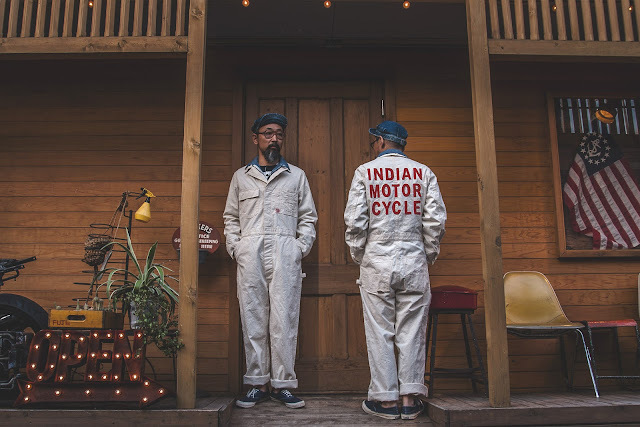 INDIAN MOTORCYCLE × HEADLIGHT "9oz. OFF TWILL ALL IN ONE"
INDIAN MOTORCYCLE × HEADLIGHT “9oz. OFF TWILL ALL IN ONE, Size 38"
INNER Workers K&T H MFG Co "Henry Neck Long, White/Black"
HEADLIGHT “INDIAN MOTORCYCLE × HEADLIGHT “9oz. OFF TWILL ALL IN ONE"